Rock Creek is pretty dirty from the latest rain storm, but is slowly dropping. By the end of the week Rock Creek could be a good option, but right now its still relatively big. The flows are still way over the historical average. The upper end will still be your best bet for wade fishing. 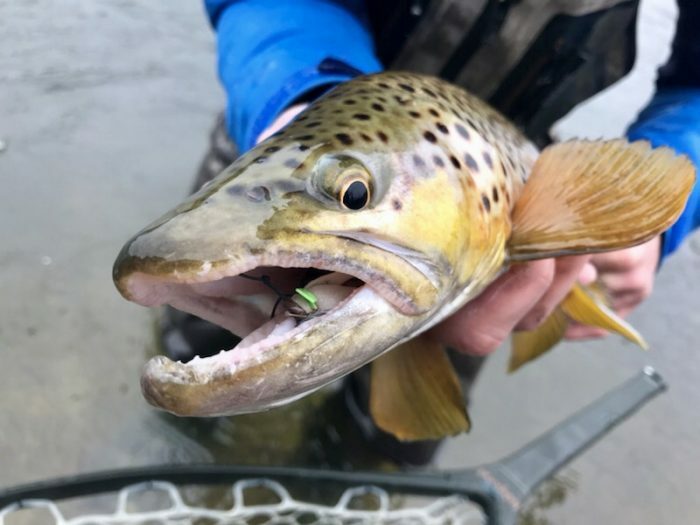 Goldenstones, caddis, and PMD’s are the name of the game. Be extremely careful while up on the creek. These flows are no joke. Be sure to check out kingfisherflyshop.com to see water information for Rock Creek.